Westmalle Tripel was first brewed in 1934. This ‘mother of all tripels’ is a world reference for the style and has inspired numerous brewers. 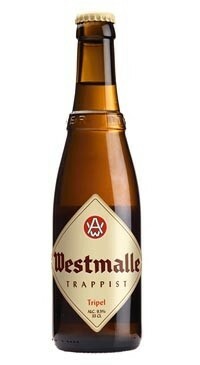 Westmalle Tripel was introduced at the time of the launch of the abbey’s new brewing hall. The recipe was adjusted in 1956 but ever since then the recipe has remained unchanged. Westmalle Tripel (9.5%) is a clear Trappist beer, golden-yellow in colour, with amazingly fruity aromas of ripe banana and a lovely, subtle nose of hops. This full-mouthed beer offers finesse and elegance, with a mild taste and a creamy mouth feel, yielding bitter notes supported by fruit aromas. Enjoy the lingering, dry finish. The complex character of a Westmalle Tripel is derived from the slow brewing process and its re-fermentation in the bottle.